There’s a new South Florida company making it easier for you to protect the environment. 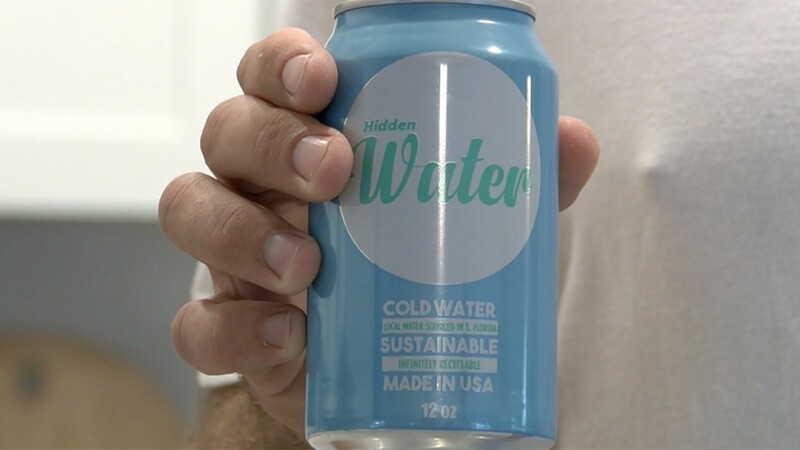 Known as Hidden Water, it’s still water in aluminum cans with a promise to try and reduce single-use plastics from our waterways. NORTH PALM BEACH, Fla. — There’s a new South Florida company making it easier for you to protect the environment. Known as Hidden Water, it’s still water in aluminum cans with a promise to try and reduce single-use plastics from our waterways. "We said, alright, if no one is doing anything about it we need to be part of the solution," said founder Jeff Irish. It has taken about two years for Irish to launch Hidden Water out of his North Palm Beach home. However, the water is sourced and canned in Miami. Irish said it stems from years of watching plastic bottles, snack wrappers, and all types of trash float along the intracoastal waterway. "You know, we are just offering it as an alternative for people who care about the environment, who see the way the plastics are breaking up into a million pieces and killing the fish, the birds, and the turtles," said Irish. Currently, the water is sold in individual cans at several gas stations throughout Palm Beach Gardens, North Palm Beach, Lake Park, and Juno Beach. You can buy it at Carmine’s and the Bush Wildlife Center. You can also buy it by the case through their website by clicking here. 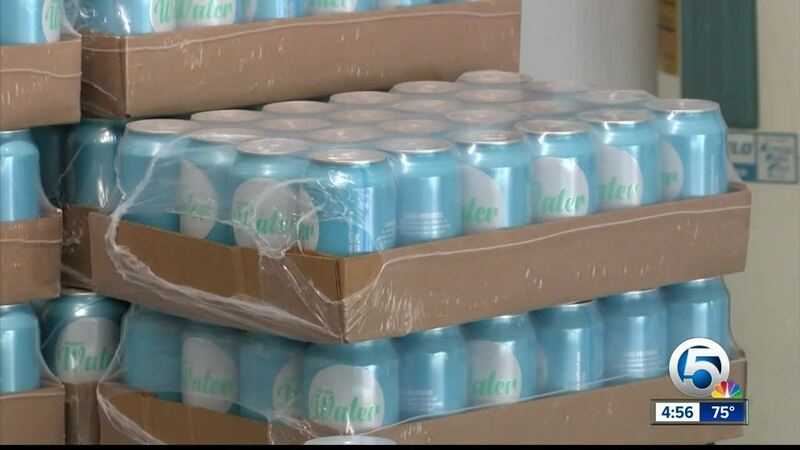 "The cool thing about aluminum is when you start with a can it is already 70 percent recycled aluminum, and then the rate of recycling is up at 90 percent where plastic typically is only about 9 percent of the time recycled," said Hidden Water COO Robert Monks. The two are working around the clock to work on inventory, distribute to sellers, and raise awareness through social media. Each can has the company promise written on the side which is to remove one piece of plastic from waterways for every can they sell. They are working to fulfill that mission by partnering up with nonprofits like Friends of Palm Beach to remove trash from area beaches.